A s a teenager working on the farms of California in the 1970s, Mily Treviño-Sauceda often felt alone and afraid. A boss fondled her; she was assaulted by a supervisor in a vineyard. When she confided in her father, she recalls, he seemed to blame her. After that, “I didn’t want to speak about it anymore,” Treviño-Sauceda says. Two decades later and 2,000 miles away, in Fremont, Ohio, 14-year-old Mónica Ramírez, the daughter and granddaughter of farmworkers, noticed that two groups of people descended on the town every spring: migrant workers, who came to pick cucumbers, sugar beets and other crops, and recreational fishermen, who came for the walleye bass in the Sandusky River. Every year the Fremont News-Messenger ran a “Welcome Back” story for the fishermen, but not for those working in the fields. Ramírez went to the newspaper’s office and complained. To her surprise, the editor asked her to write stories about the Latino community; she did, and the newspaper published them. 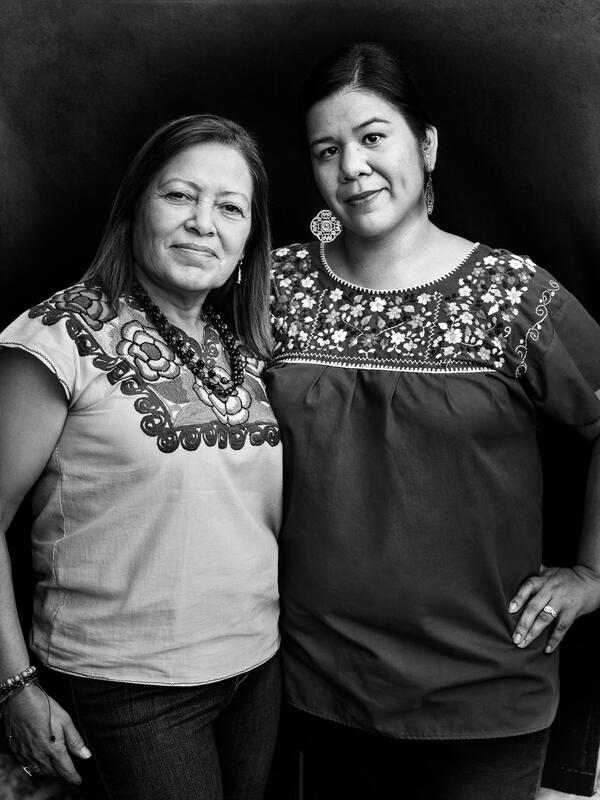 For both women, these teenage experiences led to lifelong activism on behalf of farmworkers. Treviño-Sauceda spent decades as an organizer, co-founding the Líderes Campesinas in the 1990s to give a voice to the women working in California’s fields. Ramírez earned her law degree and advocated for farmworkers and other low-paid immigrant workers with civil rights and employment claims. As the farmworker women’s movement gained momentum, Treviño-Sauceda, who had become one of its most powerful voices, saw an opportunity to tie together the work that she, Ramírez and so many others were doing to bring more attention to the cause. Treviño-Sauceda and Ramírez joined forces in 2012 as co-founders of the Alianza Nacional de Campesinas, known in English as the National Farmworkers Women’s Alliance. It was the first national organization to represent the country’s 700,000 women farmworkers, uniting one of the most vulnerable groups in the American workforce. The Alianza addresses numerous issues the farmworkers face, from domestic violence to workplace environmental concerns. A major focus has been exposing the rampant sexual harassment and exploitation on farms; in one study, about 80 percent of women said they had experienced some form of sexual violence on the job. So last year when they watched as one celebrity after another came forward on social media with tales of sexual abuse in the entertainment industry following the accusations against the mogul Harvey Weinstein and others, the stories were all too familiar. A group of Hollywood women helped to organize a “Take Back the Workplace” march in Los Angeles for November 12, 2017, and Treviño-Sauceda planned to attend with a few dozen women from Líderes Campesinas. But they wanted to do something more. “Do you think if we write something, we could read it at the march?” Ramírez asked Treviño-Sauceda. Ramírez began to draft a letter on behalf of the country’s women farmworkers. One ally suggested that Ramírez should criticize the Hollywood women for having ignored the plight of farmworkers, but Ramírez did not heed that advice. The organization had spoken up for hotel workers, domestic workers and janitors. The stars of Hollywood “were women workers, too,” Ramírez says. Time magazine, which had been preparing a story on the #MeToo movement, agreed to publish the letter. Two days before the November march, it was posted online. Soon after, Reese Witherspoon, one of the most influential women in Hollywood, shared it with her nearly four million Facebook followers. “Thank you,” she wrote to the Alianza Nacional de Campesinas. The letter went viral just as the march was coming together, but its impact was bigger than a hashtag. Suddenly, the public face of #MeToo was not just Hollywood women, but all women.